With the complete horrors happening all over the world at the moment, I thought it was prudent to talk about how important today actually is. This entire week, Australia celebrates Harmony Week, and today it comes to a head. Today is Harmony Day 2019. Harmony Week celebrates the multicultural beauty that is Australia. 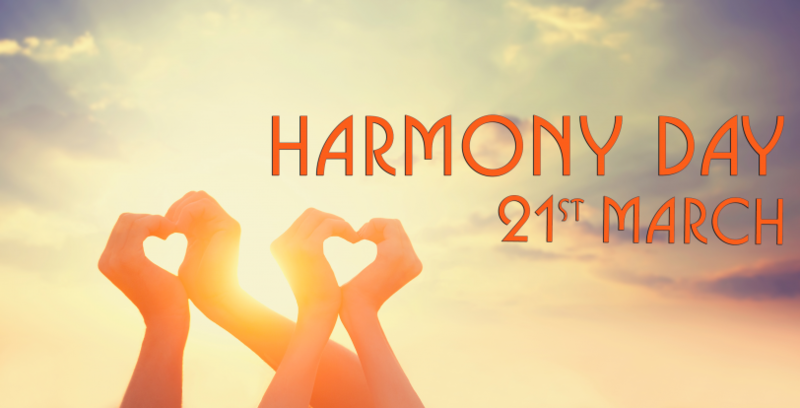 This week leads to the celebration of Harmony Day, which has been celebrated annually on March 21st since 1999. Australia promotes Harmony Day in conjunction with the United Nations International Day for the Elimination of Racial Discrimination. It is a day to come together and celebrate the diversity of Australian culture. Starting with our First Australians, we have all come from different places across the globe, and this week reminds us what a wonderful thing that actually is. The continuing message of Harmony Day is ‘Everyone Belongs’. It is about community participation, inclusiveness, celebrating diversity, respect and belonging. First things first, wear ORANGE! The day is celebrated by wearing orange, so today or tonight, be sure to put on your best and brightest orange coloured clothing before heading out. There are so many ways that you can celebrate Harmony Day, through sporting events, dance, art, movies, cooking, sharing traditional meals with other cultures, storytelling, or discussion. Take the time to divulge yourself, and your children, in different cultures and nationalities. By doing this you can help them gain an understanding of how we all equally belong in this nation. Let’s face it, it is up to us to teach the younger generations how to make Australia a better place for everyone no matter what their race, religion, or beliefs. Prior to the Europeans landing on the west coast of Australia in the 17th Century, this country has been made up of hundreds of Aboriginal nations who lived together in harmony for thousands of years. Although the past couple of centuries have been littered with numerous wars, violence, and pain; Australia has come through it all, and we are now one of the most culturally diverse nations in the world. Traditionally we believe that everyone deserves a fair go. People from pretty much every nation on earth reside in our beautiful homeland; and the richness of those cultures has helped to make Australia what it is today. I look at myself, and I am a combination of Irish, Scottish, English, German and Serbian… and I am just one person, pretty much a melting pot in myself to be honest. Each one of those nationalities has different traditions and beliefs, and they’re ALL wound up into one human on this big planet. I think a lot of Australians can say the same about their heritage, there’s a lot of bitza’s out there – a bit of this, a bit of that. That’s what makes us so unique, we are all individual parts who combine to make up a whole lot of diversity! We implore you, please do not allow recent world events to negatively impact your experiences in our diverse community. Differences are what makes us interesting. Learning new traditions, cultures, beliefs, will make us all well-rounded human beings. The world needs more kindness, so let today bring us all together. Allow love to win over hate every single time. From all us us here at Invisible Ink, Happy Harmony Day for 2019!! Previous PostThe day Facebook fell over – and taught everyone a good lesson!